Why Get a Thatched Roof? 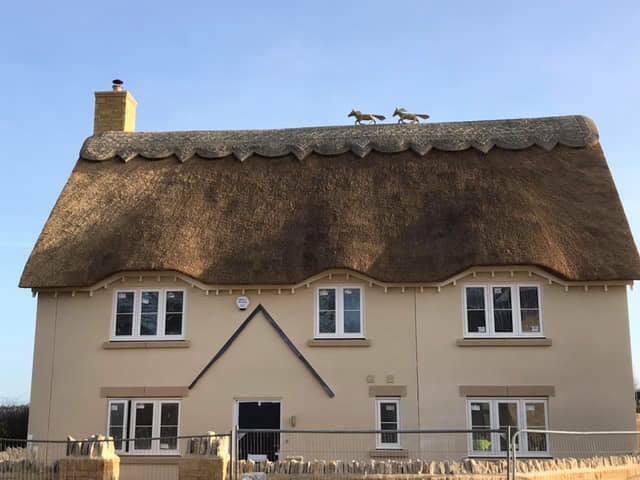 If you are currently questioning ‘should I get a thatched roof?’ then you’ve come to the right place to give you more information on what it’s like having a thatched roof. Whether you are considering buying a property that already has a thatched roof or wanting one on an existing house there are certain questions that will crop up such as how much does it cost to thatch a roof, and whether the thatch needs to be repaired or replaced. Thatching is the oldest form of roofing, it has been around for 10,000 years and it still exists and is still used on many buildings today, from commercial through to residential. Take a look at some of our thatched roof case studies to get an idea of the type of work we carry out. 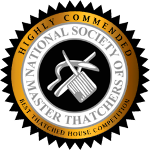 Here at Heart of England Master Thatchers, we have a team of highly skilled Roof Thatchers that know everything about thatching working on small and large properties up and down the UK. Having a thatched property adds value to your home; there is a good chunk of thatched properties across the UK that are listed. It can raise the selling price of a house and proves a good investment. Believe it or not, thatch is an incredibly durable material and depending on the type of thatch you have. Water reed can have a life expectancy of up to 40 years with the correct care and attention. Thatch is a natural insulator that will keep your house cool in the summer and warm in the winter which will save you money on heating bills. Thatch is also a sustainable resource making it extremely environmentally friendly; harvesting the thatch is also economically friendly too! No matter what size or shape your roof is, thatch is a flexible, soft material that can be shaped on any roof. Cool designs and patterns can also be formed at the ridge and the edges, so it can be customised to your taste. Shape and design of the roof. The height to the ridge. The condition of the woodwork. The thickness of the thatch that is required. To keep your thatched roof in the best condition you will need to give it inspections checking for moss, leaks, animal nesting and the overall condition of the thatch. This can be done professionally and if you would like us to inspect your thatched roof please get in touch. If anything troubling is found, your roof will need maintenance. Leaks are the most common problem and if they aren’t spotted quickly it can cause issues deeper into the thatch. The ridge caps will need replacing every few years when the wiring or thatch comes loose; the re-ridge process allows you to keep your roof in the best condition possible as it increases the water resistance of your roof. When you have a thatched roof you must follow safety precautions, these will help prevent fires. Making sure your chimney is correctly insulated and having fire board set before the thatch are just two things you must do if you have a thatched roof. What most people think with the thought of a thatched property is the fire risk. However, a fire is no more likely to start in a thatched property than a regular property, it is because of the materials used to thatch a roof means a fire will spread quickly and the damage done is greater and costly. 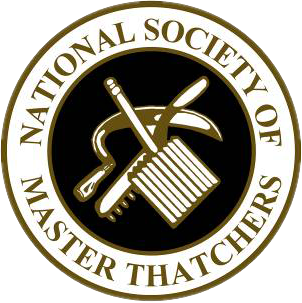 Most thatch fires will occur between September and April as more people are likely to use a log burner etc. and if the chimney bricks are cracked or not insulated properly then a fire can occur. 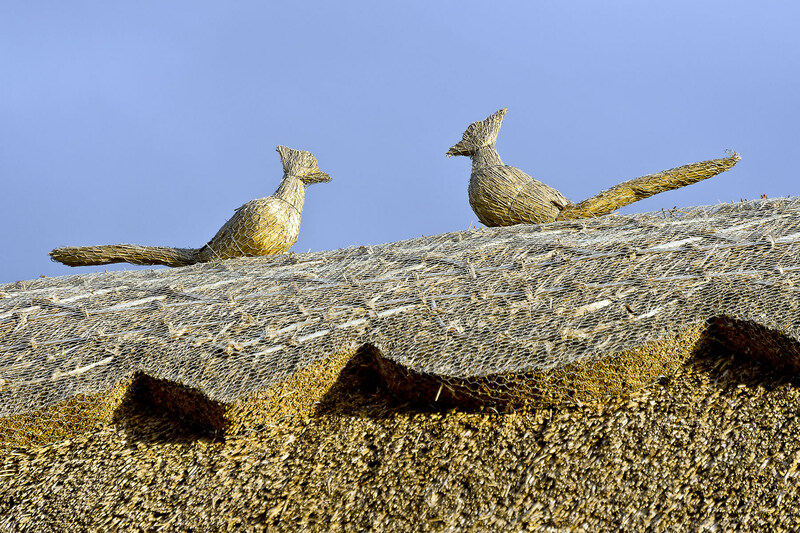 If you would like any advice on thatched roofs or have any questions, please don’t hesitate to get in touch with us.